Cavers, by their nature, aspire to fit into places where no one has been before, squeezing into voids, hopeful to discover something new. 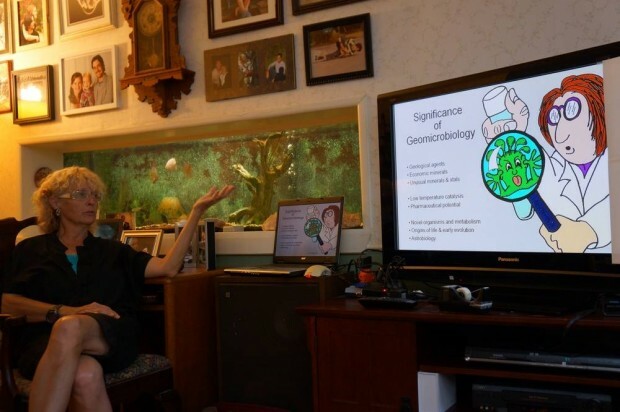 Dr. Penny Boston’s research is no different; she unites the fields of geology, microbiology, atmospheric chemistry, global biogeochemical cycling, and climate/life interactions, ultimately focusing on geomicrobiology and astrobiology. Penny is a professor of cave and karst science and the Associate Chair of Earth and Environmental Science at New Mexico Tech in Socorro, New Mexico. She is also the Associate Director of the National Cave and Karst Research Institute. 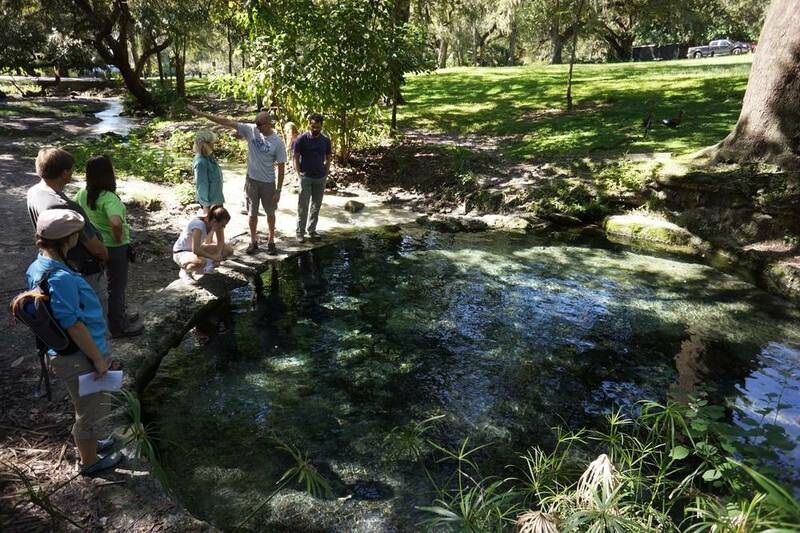 Penny was the invited speaker at the 2013 University of South Florida (USF) Karst Research Group Best of Karst. This event is held annually and brings an accomplished karst scientist to USF for a weekend of karst activities. 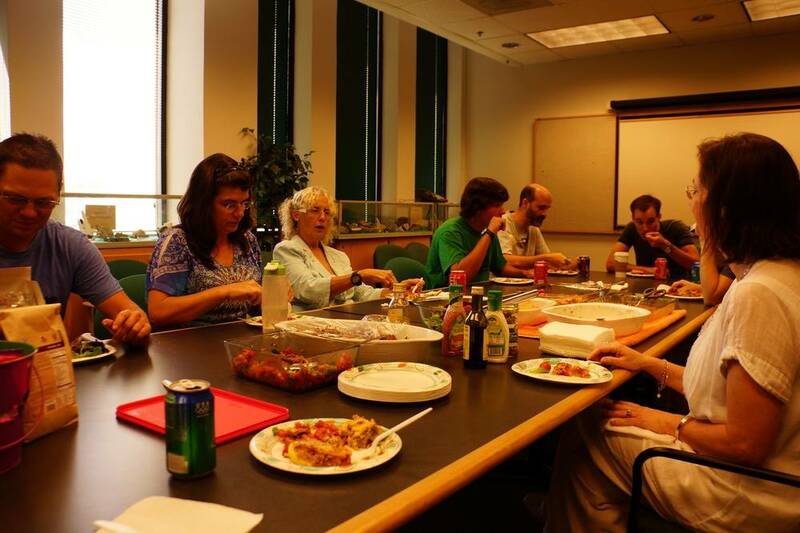 The event started on Friday, when students and faculty welcomed Penny to USF with a homemade lunch on campus. She also met individually with several USF professors with overlapping research interests. On Friday afternoon, Penny presented a formal talk to members of the USF community entitled “Caves as Integrated Systems: Life and Times in the Near Subsurface Critical Zone.” The audience was primarily comprised of members of the USF School of Geosciences and the Department of Integrative Biology, although some local cavers were also in attendance. On Saturday morning, Dr. Phil van Beynen of the USF School of Geosciences led a field trip to some of the urban karst features in the vicinity of Tampa. Stops along the field trip included surface creeks, sinkholes, and retention ponds as the catchment of a spring that discharges near the Hillsborough River was followed. Phil presented maps, geochemical data, and dye tracing results to participants, and provided historical land use information and a discussion of the current problems. In the afternoon, students met with members of The Karst Conservancy at Blowing Hole Cave, located within the Withlacoochee State Forest. Happily underground, Penny pointed out several microbiological features within the cave and students removed trash and a black racer snake that had fallen in the entrance pit from the cave. As with many Florida caves, Blowing Hole Cave features many exceptional fossils and white (or clear) speleothems, though the marks of previous careless visitors are evident. On Sunday afternoon, members of the Tampa Bay Area Grotto of the National Speleological Soceity and the Karst Research Group at USF enjoyed a potluck meal at the typical grotto meeting location in Tampa, where Penny captivated her audience with her informal talk, “The Planet Within: Caves from Earth to Mars and Beyond.” She discussed her experiences in Lechuguilla Cave, The Naica Mine, and Fort Stanton-Snowy River Cave, as well as techniques for finding caves on other planets. 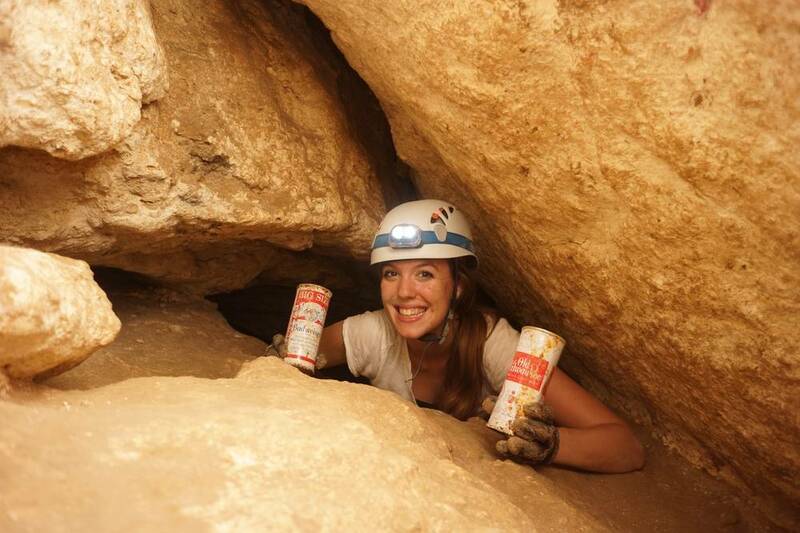 The 2013 Best of Karst events were funded by the USF School of Geosciences, the Karst Research Group at USF, and the Tampa Bay Area Grotto of the National Speleological Society. 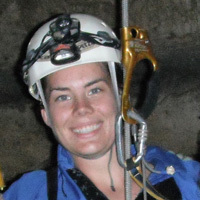 Lee is a doctoral candidate at the University of South Florida, where she studies paleoclimate and geochemistry in caves. 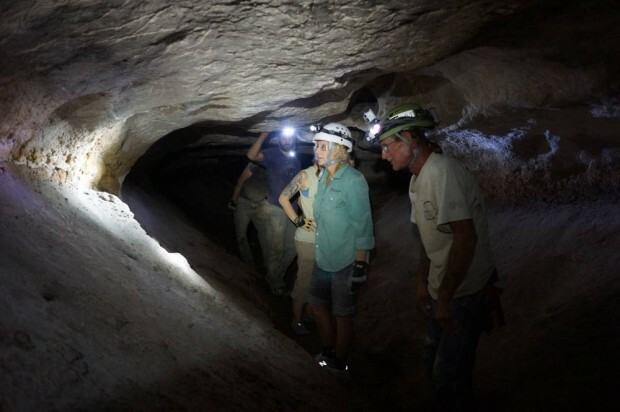 She is the President of the Karst Research Group at the University of South Florida and is on the social media team for the National Speleological Society. Connect with Lee Boop on Twitter, Facebook and Google+.